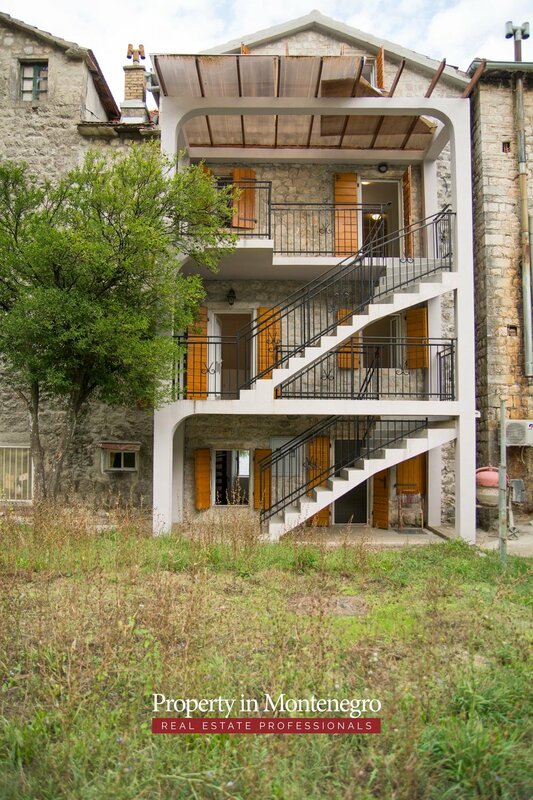 Prcanj, the old settlement of salesmen, is located at the coast of Boka Bay, in the municipality of Kotor. 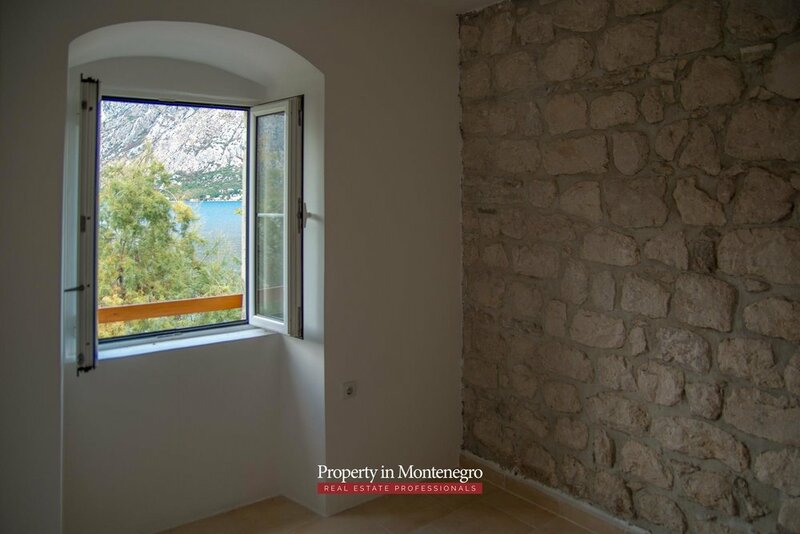 In the historic documents of Kotor it is first mentioned at the beginning of 13th century and it is the homeland of famous Boka warriors and salesmen who were in charge of the first mail traffic between Venice and Constantinople. What makes this small place specific is a real treasury of cultural and historic monuments of the past centuries. Among historic monuments the most impressive is the church of the Nativity of the Blessed Virgin Mary at the downhill of Vrmac. It was built between 1789 and 1913 according to the project of Venetian architect Bernardino Maccarucci. Beautiful small beaches, clear sea and healing airflow guarantees pleasant summer vacation. The house is over 400 years old. 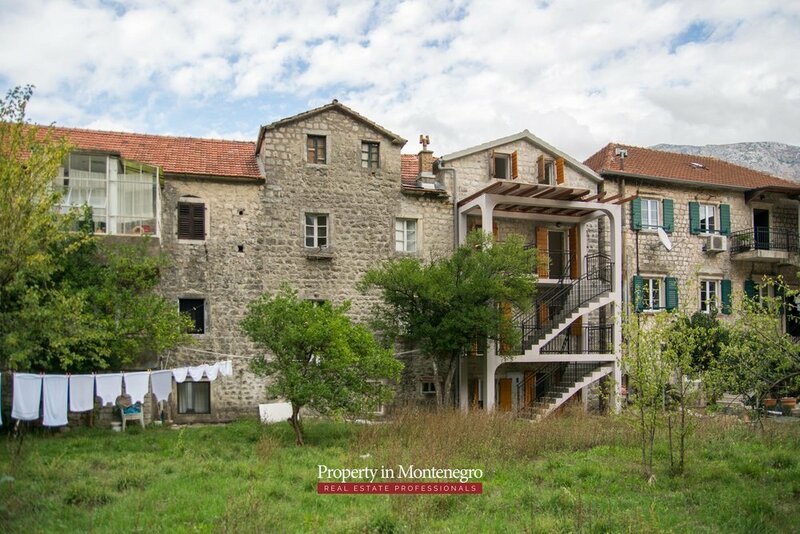 It used to belong to the captain family Botric. While renovating a lot of attention was paid to keeping the original external appearance. The doors made of full wood are identical as they used to be, the wooden outside blends are preserved, while the windows have aluminium frames. 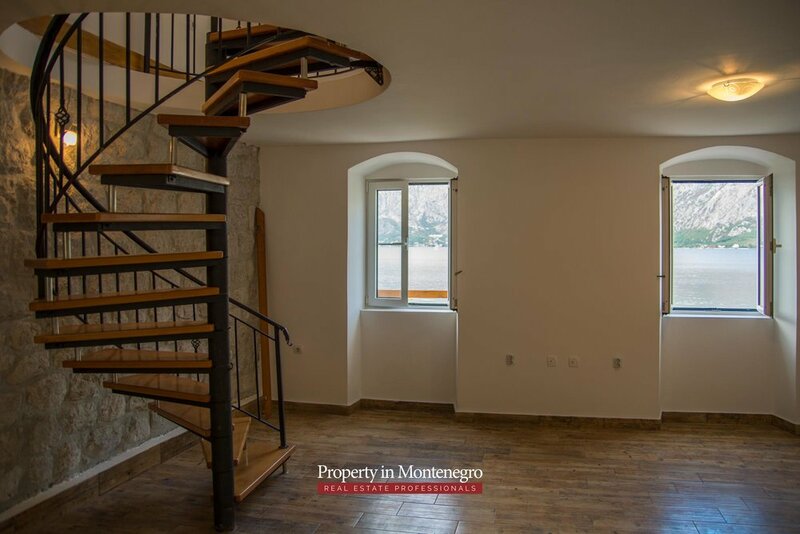 There are two duplex apartments with total area of 186 m2. The house has the ground floor, two floors and attic. The ground floor is connected with the first floor as the duplex apartment. First floor has three bedrooms and two of them have sea view. On this floor there is one bathroom. You reach the second floor with the stairs from the back of the house. Second floor and attic also make one duplex. Second floor has the spacious room that can be used as living room with kitchen and dining room, also there is one bathroom on this floor. There are two bedrooms with one bathroom on the attic floor. It takes only 5km from Prcanj to Kotor and 12 km to Tivat and its airport. 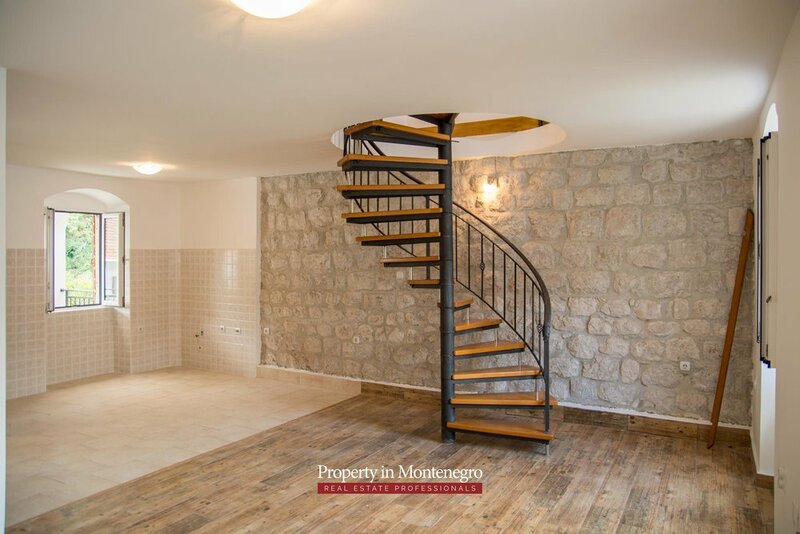 For this house there is exclusive right of using (you can not own this) the small jetty of 40 m2 which provides 3 parking spots and a small berth for boats. The total area of plot and the house ground floor is 759 sqm.